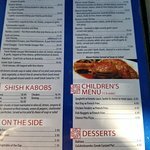 Excellent Service and Excellent Dolmades... had a seafood combination with pasta.The chicken Souvlaki was tender and juicy and well prepared. Fresh lettuce, tomato, beets, cucumber, pepperoni, onion, olives, and feta cheese, and our homemade potato salad. 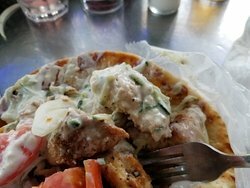 Marinated chicken topped with grilled peppers, onions, and tzatziki sauce. 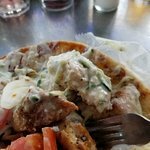 Feta cheese, lettuce, tomato, onion, and tzatziki sauce wrapped in pita bread. Fresh fried Florida grouper filet on a bun served with lettuce, and tomato with French fries. Served with lettuce, tomato, and French fries. Wrapped‎ in pita bread with onions, tomato and tzatziki sauce. Come experience the rich Greek Culture of the Tarpon Springs Sponge Docks. 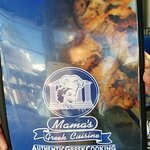 Mama's provides the finest in authentic Greek cuisine, Live Greek Music, and Entertainment; including Belly Dancing! 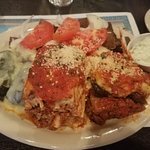 Mama's Greek Cuisine is where Where The Locals Meet to Eat! food is good, service is slow but that's ok. Was given a lunch cupon for free flaming cheese that they don't accept. a $20 salad doesn't count as an entree?? Go to Costas next door. Much better and they won't rip you off. 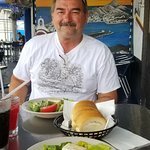 This is my favorite Greek restaurant in Tarpon Springs..and I live here! 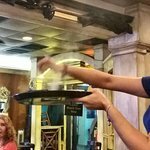 Great authentic food, friendly people...try something unusual...perhaps you'll be surprised..like I was! Tge service was good. Sat outside. Wasnt the cleanest. Food was definitely on the bland side. We all had gyros. The pita chips and tzatziki sauce was good. Got a free piece of baklava. We arrived after taking a sunset cruise and they were open a greek band was playing. 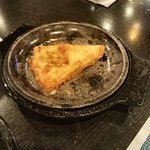 We had flaming cheese and a variety of things including the platter that imcludes Gyro, Moussaka, Dolmadas, octopus and we got a complimentary custard pie! Yum! 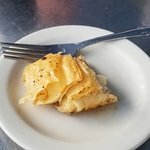 The best local Greek food! 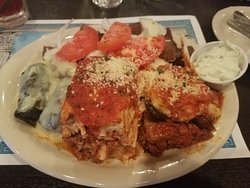 After asking several locals, we chose to eat Greek at Mamas. It was superb!! We sat on the glassed in porch right in the middle of two Greek families. All speaking Greek. 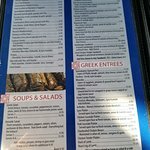 Ordered Spanikopita, Dolmathes, olives and Saginaki. So delicious!! We always stop for lunch or a lite dinner here at MAMA's whenever we're in this part of Florida. Great place to sit out on the rear deck and enjoy a glass of beer or wine and a taste of some great Greek dishes! 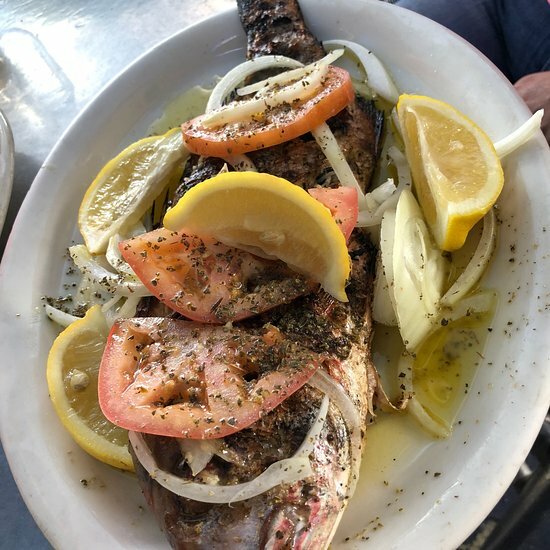 Get quick answers from Mama's Greek Cuisine staff and past visitors. Thank you for your previous answer. Is dancing inside the restaurant or outside on the balcony? The humidity and heat is uncomfortable outside! Thank You very much! We were there at night and the dancing was inside. We had a wonderful evening! 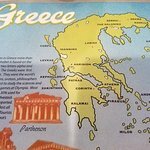 Dear sirs, is there a dance floor for your Greek customers to dance on Saturday evening. We love to dance, eat and drink with Greek music, thank you! I do not recall a dance floor.